Dunalastair Estate originally belonged to the Robertson family whose clan lived in and around this area. The clan name is Donnachaidh and there is a clan society of this name. Clan Donnachaidh names include Robertson, Duncan and Reid to name but a few. 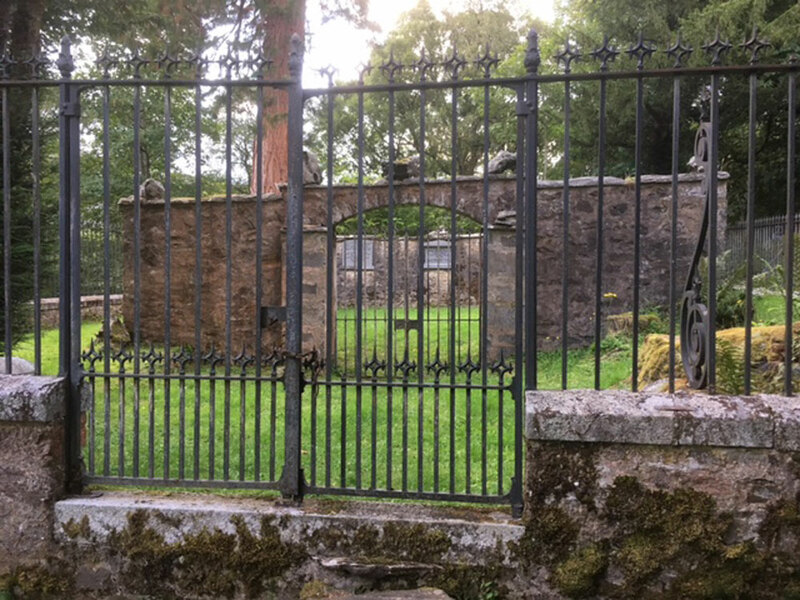 The great poet chieftain, Alexander Robertson of Struan, a staunch Jacobite, lived in a house called the Hermitage which is thought to have been on the site of or near to the current (ruined) Dunalastair House. The Hermitage was destroyed by fire after the 1745 Jacobite uprising. A double tower house was built on the site in 1801 but was burned down accidentally in 1854. The present house (now a ruin) was built in the 1860s when General Sir John Macdonald, who commanded the land forces in Scotland, owned the estate. He also built much of the village of Kinloch Rannoch including the Episcopal Church in the square and the MacDonald Arms Hotel (now called the Dunalastair Hotel although no longer belonging to the estate). In the 1880s the estate was owned for about 9 years by a Mr.Tennent and, in 1891, it was bought by James Clark Bunten who had a foundry and engineering works in Glasgow, Anderstown Foundry. He was the present owner's great-grandfather. James Bunten's only child, a daughter, Jeannie, married Frank de Sales La Terrière, whose ancestor had left France for Quebec in the 1760s and one of whose sons came to Britain early in the 19th century. The present owner, Ian Cameron de Sales La Terrière lives with his wife, Rose, on the estate and runs it with the help of a wonderful team. The La Terrière's have six children and ten grandchildren. The estate consists of various enterprises: There is farming, which involves the raising of cattle and black-face sheep; forestry with a variety of trees being planted and harvested, including some land fenced off from stock to enable it to regenerate into native woodland; trout fishing on Dunalastair Loch and on the river; deer stalking and a small pheasant shoot; and holiday cottages. Ian works closely with conservation bodies in the running of the estate. 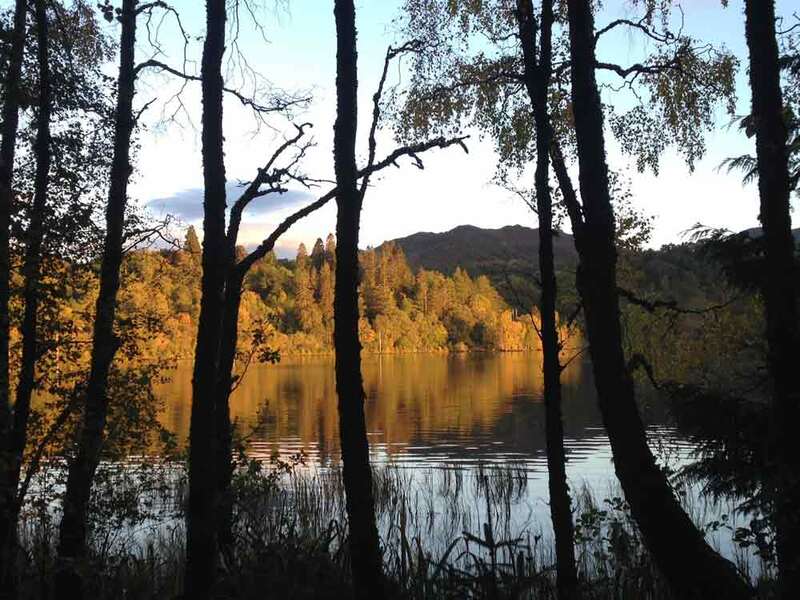 The east part of Schiehallion was sold to the John Muir Trust in 2000 but the estate retains the western half. The JMT have repaired the path up Schiehallion as it had become an eyesore from the many feet tramping up it. If you would like to know more about the history of the area, there are several books written by local authors on the history, lore and legends of Rannoch. You will find these in the Riverbank Cafe in Kinloch Rannoch. Dunalastair House was designed by Mr Heiton, a Perth-based architect, who also designed the Atholl Palace Hotel and Dunkeld railway station amongst other buildings. It was really only used as it was built to be used up until the First World War because after that the staff needed to run such a big house were no longer available. During the Second World War it was requisitioned and used first as a Polish boys’ and then girls’ school and during this period it was considerably damaged, which included the loss of a Millais painting which was destroyed in a fire in the drawing room. The house’s contents were sold in the mid fifties after the current owner’s grandmother’s death and the house was badly vandalised in the sixties when the lead was stolen from the roof. In those days it was not viable to repair it and no grants were available and it deteriorated very quickly from then on with most removable parts being stolen. The holiday cottages originally housed staff or were working buildings such as post office, laundry, school, turbine house when the estate was in full swing before the First World War and for a time after. For the last forty plus years, since 1971, we have been letting cottages for holidays. In the beginning, they were very basically furnished and holiday tenants would have to clean them for the next tenants before they left, with no housekeeping available! Over the years we have renovated and refurbished and, in several cases, gutted and totally rebuilt the interiors of estate cottages, bringing back virtual ruins to useful life. They are now fully equipped with everything you would need for your comfort and enjoyment.